The Department of Education cites reading aloud with children as the number one way to build successful readers. The goal is reading aloud to children for a minimum of 20 minutes a day in order to build a love of stories and books. Reading aloud with very young children can be a challenge. Start from day one and build it into your routine – The idea is to start reading aloud early, before you think they are really listening. Make it a habit from the beginning. Books offer a well edited version of the language which is beneficial for young children to hear. As an alternative, spend time just looking at, labeling and talking about pictures together – As your baby is a little older, they might not have the patience for listening to stories. It is beneficial to share time with books in other ways. Spend time looking at the pictures together, point to and label objects, have them find new objects. It’s fine to just look for and label colors, or tell pieces of stories in your own words as well. Read aloud daily even if they aren’t paying much attention – Once your toddler is up and moving around, they might not want to sit long enough for a story. Let’s say you try to read, and they are up and down to play with toys. At least occasionally, the answer is to stay seated yourself and continue to read aloud. They are in the room so they’re still hearing the language. You are also modeling reading aloud. Read aloud when you have a captive audience – Read aloud when riding in the car, or when you are waiting in line at the grocery store and they are buckled into the cart. Share more active books – Introducing lift-the-flap books, puppet books, pop-up books and picture search books can increase their interest. Go for books based on their interests – Okay, this is an obvious one but if they love trains, go for train books often. The Common Core State Standards, which help to guide what education is provided by our public school system, has left teaching cursive off the list. There are SO MANY REASONS to teach children cursive, and each is as compelling as the next. Helps children with spelling – Because the letters are connected, cursive helps children to learn common letter patterns. It also provides improved muscle memory which reinforces correct spelling over printing the words. Boosts their letter recognition – Cursive heightens the differences between letters that are more similar in print including ‘b’ and ‘d,’ or ‘p’ and ‘q.’ This provides a benefit to early reading skills. Fewer reversals and inversions – As cursive helps differentiate letters, children who learn cursive tend to make fewer reversals and inversions in their writing overtime. Children who rely on printing more commonly make these mistakes and do so over a longer period of time. Additional boosts to reading – When a child prints, they are thinking about reading one letter at a time. Cursive encourage the brain to think about whole words at a time. Reading with fluency requires children to take in and think about whole words. Often more legible than print – Because of the connections between the letters, cursive encourages more spatial planning between letters and words. This focus tends to make a child’s overall writing more legible. Increases their ability to concentrate – As cursive writing takes sustained effort and attention overtime, it gives children active practice at staying on task. Benefits to fine motor and visual-motor coordination – The start and stop movements of printing are very different from the flow of cursive writing. Cursive builds muscle endurance and dexterity beyond printing. These are all skills that are beneficial over their lifetime. Benefits brainstorming and note-taking – As cursive is faster and more efficient, it allows more flexibility in brainstorming and more detail in note-taking. Handwriting lecture notes is better than typing in that the physical process itself supports retaining information. 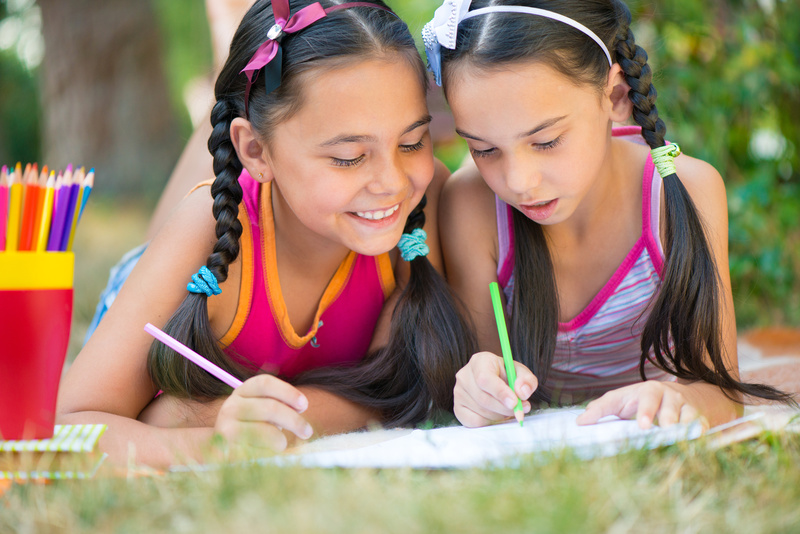 Supports creative writing – Fourth grade students who write stories in cursive tend to write longer stories and express more complex ideas than students who keyboard. Higher SAT scores – As if those weren’t reason enough, it’s reported that students who write the essay portion of the SAT in cursive tend to score higher on that section than students who print. It may be that the writing itself is allowing students more time to focus on content. Please, encourage your schools to teach your children cursive. If not, teach them cursive at home. I’d also like to thank my 4th grade teacher Ms. Rhoda-Jo Stress for challenging and not so gently encouraging my cursive. My four year old son recognizes all of his upper and lower case letters. What is the next step? To reinforce the shapes and pairings, you might also play some upper and lower case matching games such as Memory or Go Fish with pairs.